Simply put, the goal of a home security system is to provide a secure living environment. In order to accomplish that, typical systems rely on a network of smart devices that monitor and report the status of entry points, such as doors, windows, and living spaces. As a senior, your needs for a security system may be different, especially if your health is deteriorating. Most modern systems provide smartphone access, which will allow you and your family members to monitor the status of your security system. At your discretion, security cameras can relay information concerning your physical safety to a caregiver. Additionally, you can use a panic button to call for help. Protect America offers multiple plans beginning at a very affordable $19.99 per month. Systems include up to $1,400 in free equipment, no installation fees, and a price-match guarantee.1 In addition to being able to control lights and door locks using a smartphone, the system is designed to protect against fires and carbon monoxide poisoning. With the Protect America system, you can remotely monitor the entrances to your home. This should give you additional peace of mind, especially if you can’t hear or see as well as you used to. The SimpliSafe system operates on a cellular network. If you so choose, you can allow your loved ones to monitor and control devices using a smartphone. The complete system arrives pre-programmed and can be installed in less than an hour. Lithium batteries are used for electrical power, and the system will continue to operate even when there is a power outage. The wireless sensors have a range up to 400 feet, which is enough to protect most senior’s homes. This system is available for 36 months at a rate of $42.99 per month. Frontpoint systems are professionally monitored around the clock. They are easy to install without the need of a technician. You simply plug in the control panel, apply the sensors, and activate the system. So, it is not necessary to drill holes or pull wires. The included doorbell camera is another reason that the Frontpoint system is good for seniors. You and your loved ones can monitor the doorbell camera from anywhere at any time. This system also guards against fire and other environmental hazards. Phone apps are able to monitor the status of your home as well as control certain functions, including adjusting the temperature and locking the doors. One of the pros of this system is that Frontpoint has earned an A+ rating from the Better Business Bureau.9 A con is that some of their features are only available in their more expensive packages. The ADT system comes with 24-hour monitoring and free customer support. It provides comprehensive coverage, which includes battery back-up. In addition to providing security, the ADT system provides smart lighting and can help you reduce your energy bills. It also provides protection against floods, carbon monoxide poisoning, and fire. Using a smartphone or laptop, you and your family members can monitor, arm, disarm, and control the system. Real-time video surveillance is also available. One of the pros is that ADT is accredited by the Better Business Bureau. They also offer a money-back guarantee within the first six months of service, which includes the installation price and all monitoring fees. You can find a great home security system at an affordable price. As a senior, you can obtain peace of mind by making sure that adequate security measures are in place. Prices are very reasonable, with most systems charging under $50 per month for extensive services. Some systems provide equipment for free, while others charge a few hundred dollars upfront. 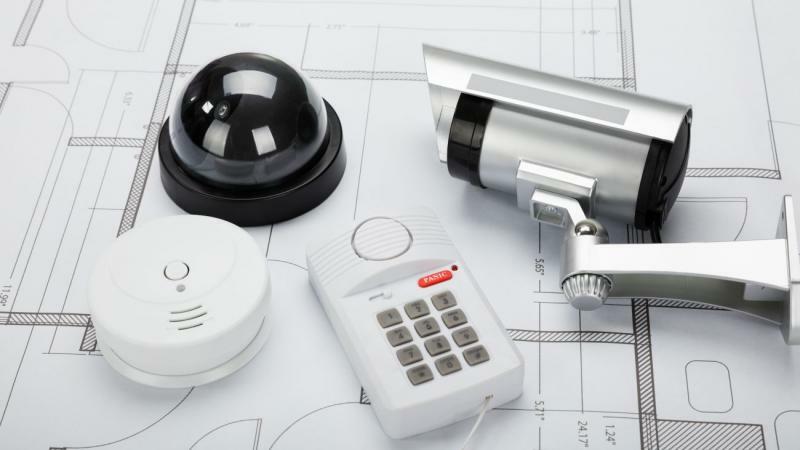 If you are considering the purchase and installation of a home security system, you owe it to yourself to conduct your own investigation to determine the system that would work best for you.